Use this Anti Burglary & Violence Window Sticker for protection against robbery, violence, and theft. 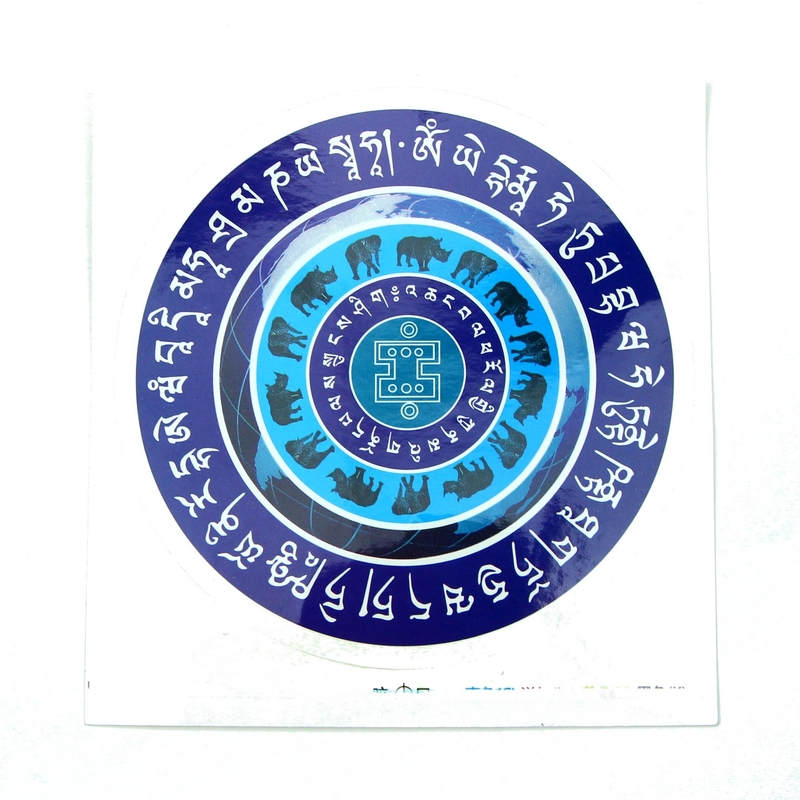 The sticker is embellished in a sea of blue, and features the powerful Dakini Amulet to ward off negative chi and bad events. The window sticker also features the powerful Double Horned Rhinoceros and the elephant. The elephant and the double horned rhinoceros are both auspicious feng shui animals that represent strength and perseverance. The powerful animals will protect one against negative chi, hindrances, tragedies, spirit harm, and unfortunate events. Attach these amulet stickers onto your vehicle windscreen and home windows to keep safe against robbery, theft, and misfortunes. The diameter of the feng shui sticker is approx. 5". It is made of plastic that can resist water.